Deciduous tree. Slow growing but more vigorous than many of its named varietals. Upright broadly canopied form. 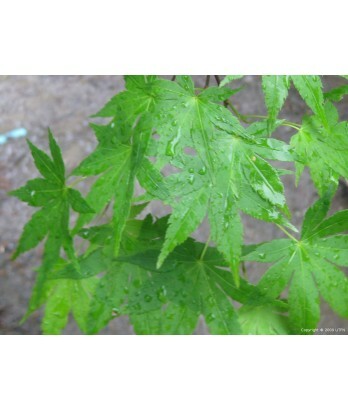 Green palmate leaves have reddish tinged new growth in spring. Orange-red fall color. Sun tolerant. Moderate to regular water needs in well-drained soil once established.